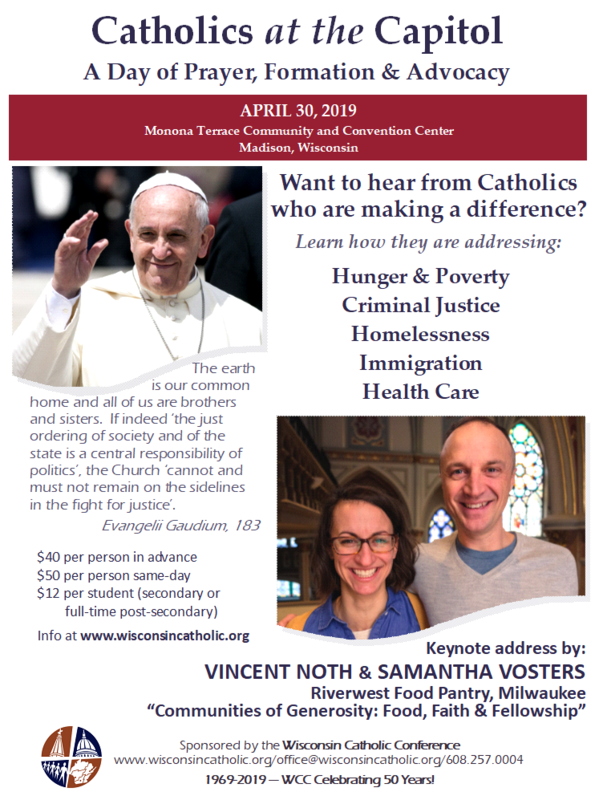 Young Adult Day @ Holy Hill, CareNet Job Openings, Catholics at the Capitol! 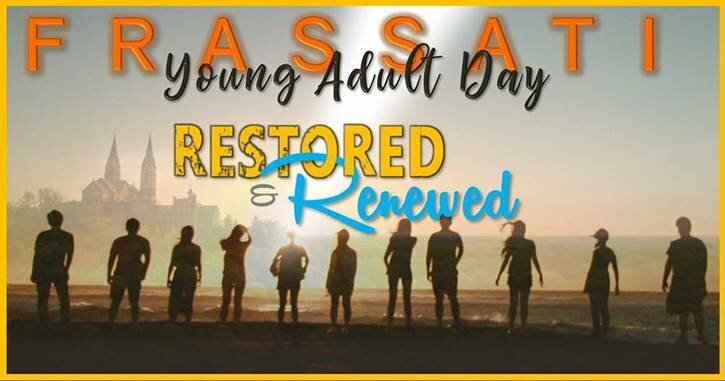 2019 Frassati Young Adult Day @ Holy Hill! The day includes conferences, spiritual direction, opportunity for confession, Gregorian chant, Mass, evening meal, Holy Hour, and social time. Ages 18-35. Cost: $10/college student; $15/single adult; $20/married couple. Register online at link below! Want to make a living - and a difference? Working at Care Net is more than just a job. It's an opportunity to save and change lives in our community. Care Net provides compassionate, nonjudgmental sexual health services to women and men facing a pregnancy decision. We offer help, hope and healing through medical services, education, a residential program and ongoing support. There are a variety of positions open at CareNet currently and they would love for one of our local Catholic young adults to join their team! Click on the picture above for more complete job descriptions! Interested in how faith influences public policy? Check out 'Catholics at the Capitol'! Click on the poster to go to the registration page. Register by Monday, 4/22, for the early-bird discount! Shared bedroom (of an incredibly large master suite) with a rent of $420. It comes with two amazing, joyful Catholic women and the location is great (just off S. Junction and Watts Rd)! There is also a gym, pool, clubhouse, parking, and laundry in-unit. Contact Kate at katebednarke@gmail.com if you or anyone you know would be interested! Interested in a Summer Sublet (May-August)? Sublet available for an apartment with 4 Catholic women on Johnson St, within easy walking distance of the Capitol, State St, James Madison park, St. Patrick’s, and Holy Redeemer. Unbeatable price and super responsive landlord! Rent includes utilities (electricity, water, heat and air conditioning). Rent is $390 a month. Message me at guina.maryjoy@yahoo.com if interested!